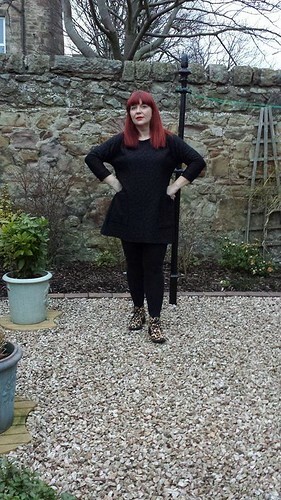 Launching my first womenswear pattern has been a steep learning curve, and I could not possibly have done it without the support of some very wonderful fellow sewists. These wonderful women not only agreed to test my pattern, but encouraged and supported me throughout the whole process. 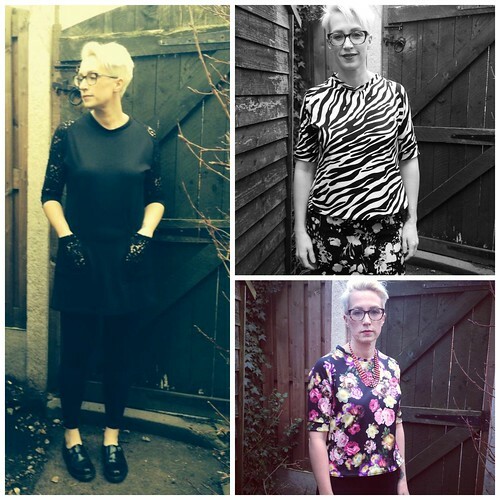 I love each and every one of the garments they made with my pattern, I love how each person has adapted the pattern with fabric choice to make it quite their own. 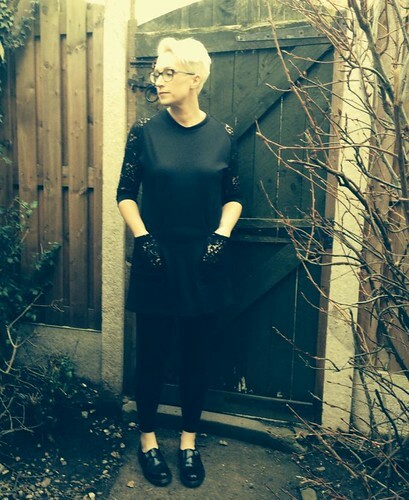 First up is Jayne, an experienced and lovely seamstress. I adore Jayne's dress with the lace pockets and sleeves. 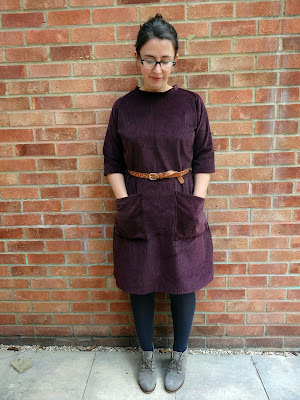 I have been inspired by several of my testers for this pattern, and this dress is definately one I'm going to copy. I already have the lace, just need to find some fabric to co ordinate with it. Jayne also made two tops, (see photo at the top of the page. ), they look fantastic on her with a mini skirt. Love this look. Clare is next, how fabulous is this animal print version? Clare is a teacher, I hope her students appreciate just how cool she is. She also made a plain back version in a similar cloque fabric to my yellow dress. 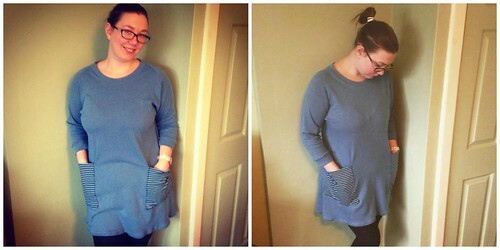 Naomi made this really cute blue marl version with contrast pockets. 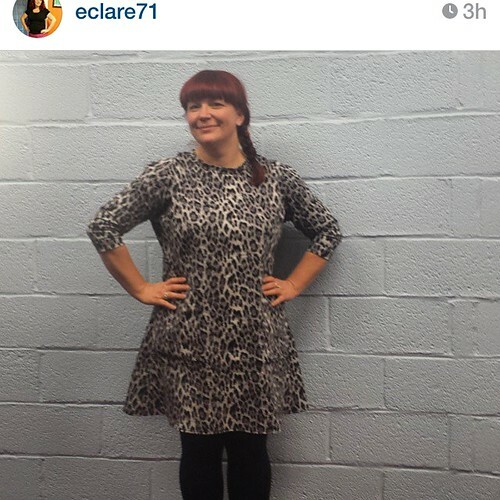 Naomi is a confident beginner sewer, and said she enjoyed making up the Weekend Doris dress. 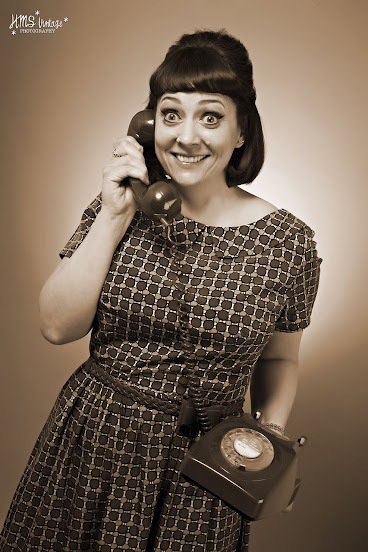 Helen, better known to many of you as Justsewtherapeutic made up this totally gorgeous, Mad Men series 3 inspired Doris. I adore this, another one I think I may have to copy. 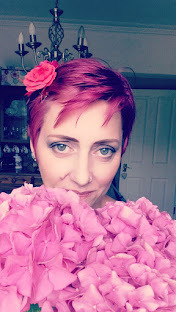 Check out Helen's blog for more fabulous creations. Finally, we have Marilla. You can read about Marilla's Weekend Doris here . Marilla has been a huge help to me while I have been working on this design, and I'm so grateful to her. I am also so going to copy her corduroy version...I have the cord downstairs on my dining table and will be cutting out today. 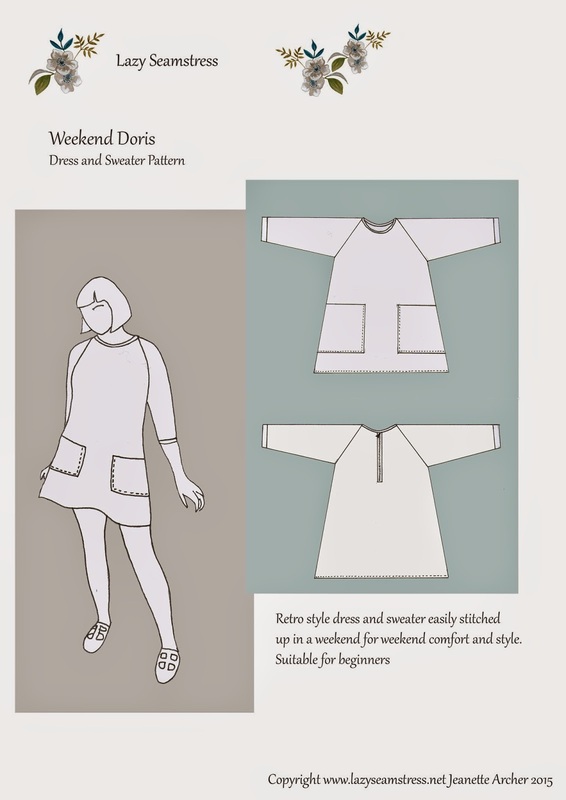 The Weekend Doris is designed as a short (or even very short) dress, but I include instructions with each pattern to lengthen the dress, as I know not everyone likes to wear short dresses. Marilla lengthened her dress, but kept the pockets in the same position. I think this has worked really well, and love the belt too. So, if these have inspired you to make your own Weekend Doris dress or sweater, just click the image below to go straight to my Etsy shop. The pattern is avaialable as a PDF that you can print at home, but also includes a complete PDF for large scale printing at your local print shop. The paper version includes a master copy to trace your pattern as many times as you like. 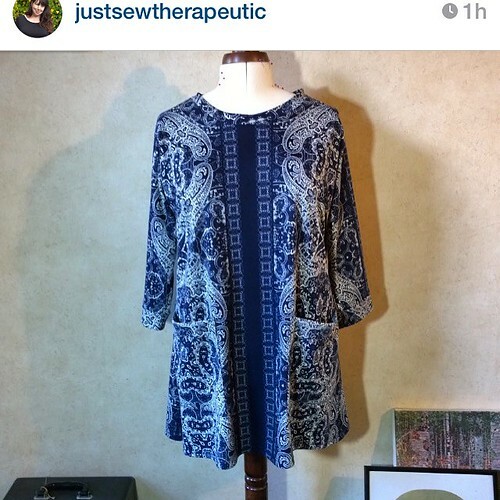 <3 the pattern Jeanette, do you think it would be relatively easy to lower the neckline. I look awful in higher necklines? Hi, I too love the different takes on your pattern, they are very inspiring. But I also had the thought about lowering the neckline - do you think it would be fairly straightforward as I'm pretty basic at seeing (but willing to give something a try). Thanks. Yes, added to my list of variations, will work on it. Wow such variety. You must be really proud seeing these, well done! Triển lãm "Những ngăn tủ" về cộng đồng LGBT (cau chuyen ve dong tinh nu, cau chuyen ve dong tinh nam, song tính và chuyển giới) đang diễn ra tại Đại học Mỹ Thuật (Yết Kiêu, Hoàn Kiếm), kể lại những câu chuyện về người đồng tính,tam su cua nguoi dong tinh, trong cuộc sống. lam the nao de tinh trung khoe manh? lam gi de tinh trung khoe manh? Tiết lộ cách giúp tinh trùng nhanh và khỏe hơn sẽ giúp đỡ các cặp vợ chồng tăng khả năng thụ thai đơn giản.